Being a FitTriangleMom is about 20% being Fit and 80% being a Mom in the Triangle. Rainy days are the worst at our house. My boys love to run and play. I have to be creative during stay inside days. 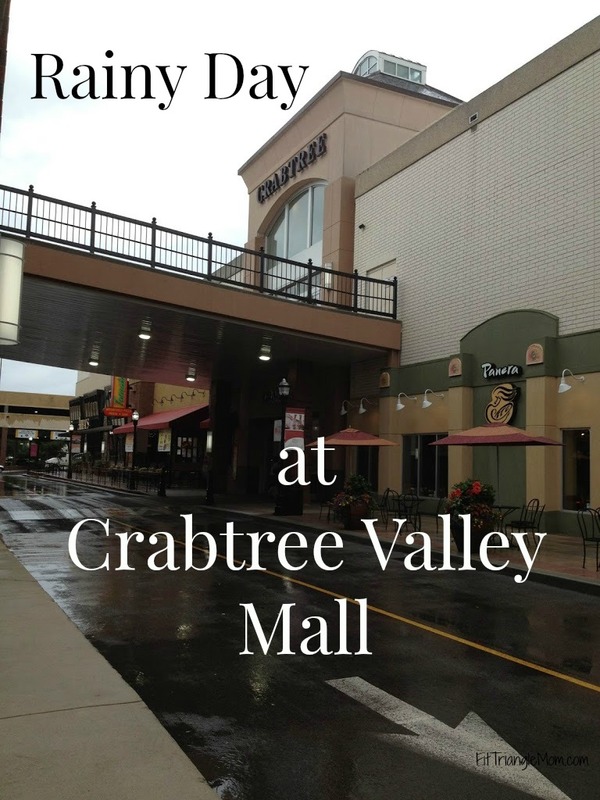 Today we ventured to Crabtree Valley Mall in Raleigh. 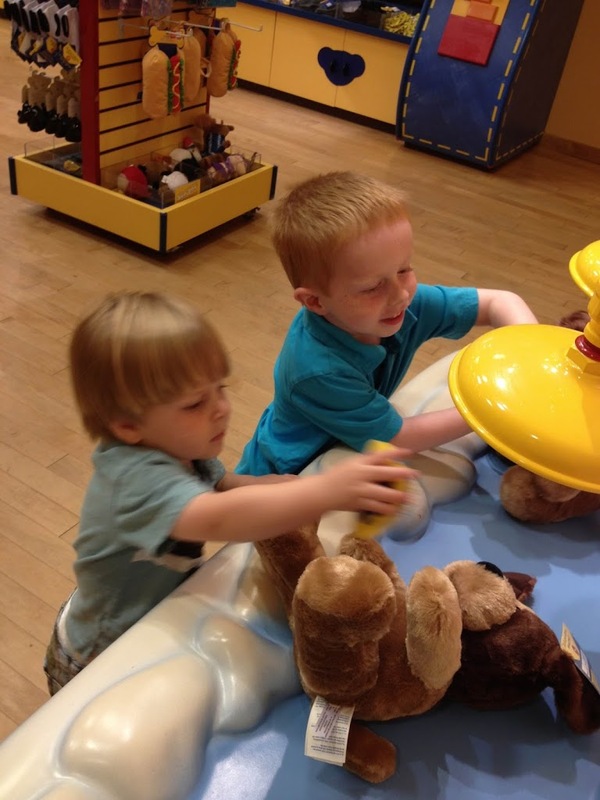 The mall is filled with great “mom” stores, but if you want to forgo the whining, stick to these kid favorites. 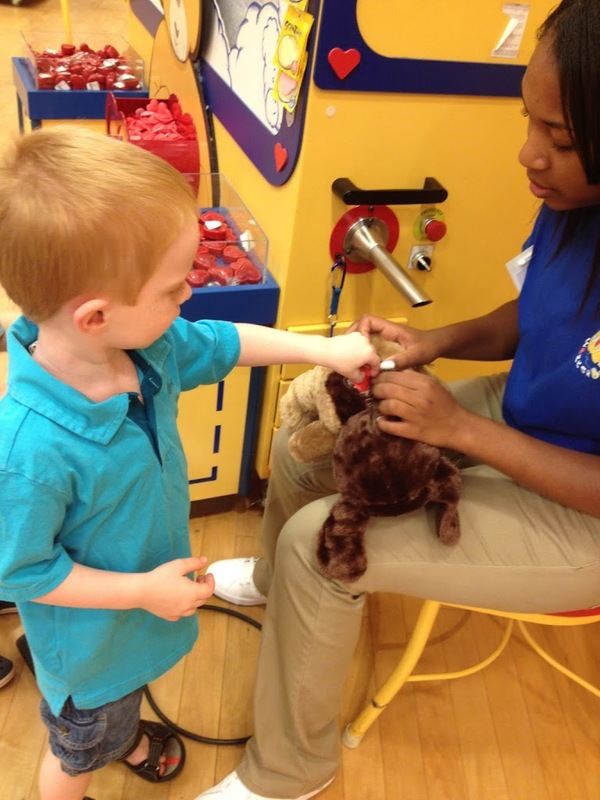 We started the fun at Build-A-Bear Workshop. The boys both selected a brown, floppy-eared dog to stuff. They took turns using the foot pedal to stuff the dog and then selecting a heart to stuff inside. Liam ( 21 months), decided his dog needed two hearts. The lady helping us so aptly remarked that his dog had lots of love to share. After stuffing, the boys “washed” and brushed their dogs at the bathtub which actually blows any loose fur or strings off the animals. Aiden chose a gray shirt for his dog, Flops. Liam decided Doggie was fine without clothes. 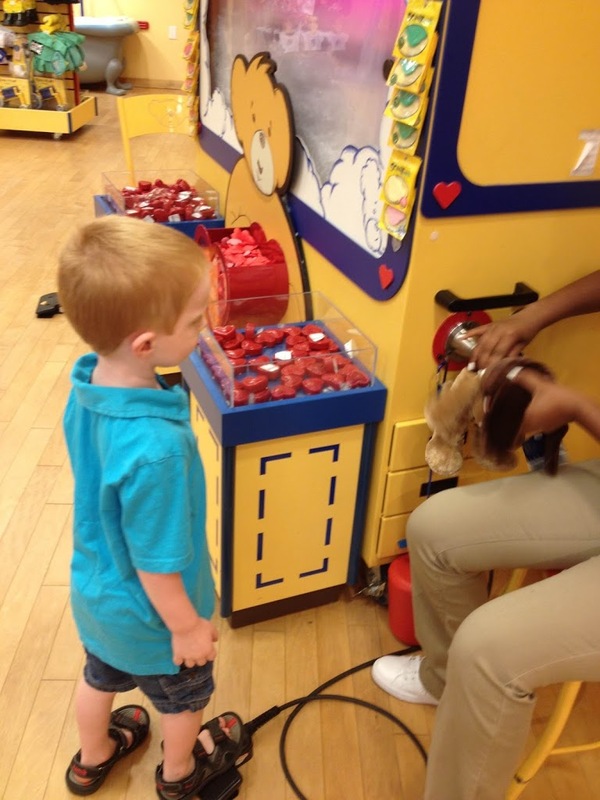 I did try to shop at some of my stores, but I nothing caught my eye and the kids were ready for more fun. We stopped at the Lego store. 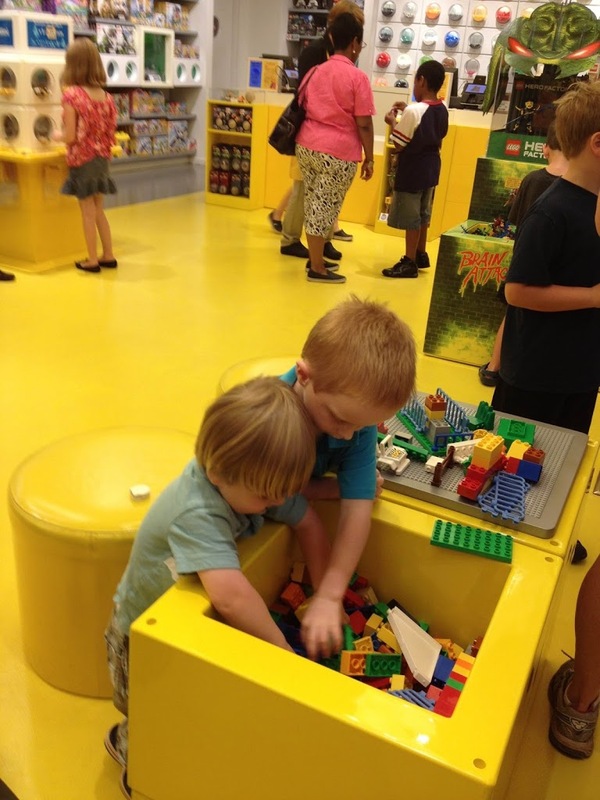 This bright yellow store is like walking inside an actual yellow Lego. The walls are filled with every color of Lego and amazing scenes and items you can build. 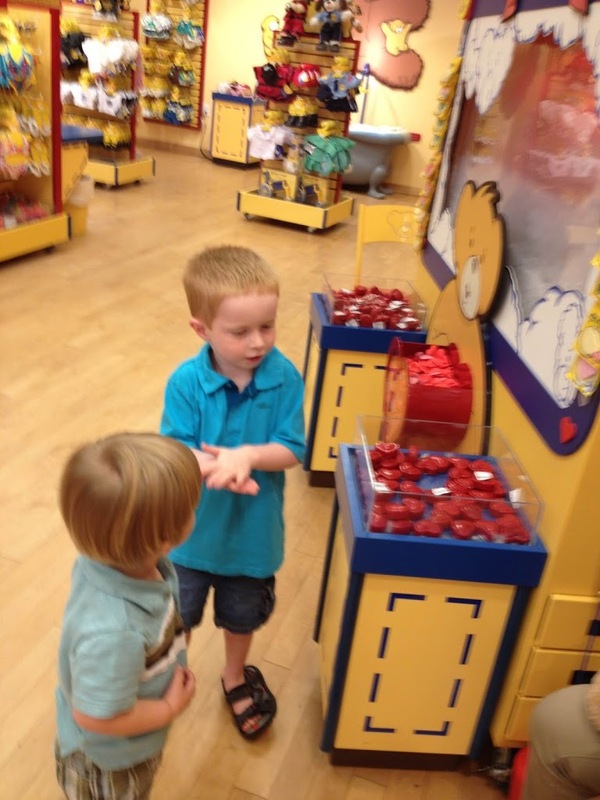 The boys had fun playing with the Duplos in the center of the store. After all the fun, the boys and I got hungry, so we headed to the food court on the upper level. The food court has a great variety of places to eat, but we stuck to our favorite, Chick-Fil-A. The boys got their chicken nuggets, and I got my grilled chicken wrap (only 330 calories). We all had a fun morning. The boys snuggled up with their dogs as we drove home.